Give up? These are typical serving sizes used by most people. People who underestimate how much they eat in a day. I bet you use these serving sizes, too. How many times have you served yourself a bowl of cereal, a glass of wine, a plate of spaghetti or a bag of chips? Hate to break it to you, but these are just words; not serving sizes. Not in this universe, anyway! When it comes to cutting calories to lose weight, you need to know the proper serving size for the foods you eat. And once you know the right serving size, you need to take it one step further. You need to measure out your portion of food each time until you can estimate the right amount of food to serve yourself. Bottom line, you need to stop mindlessly dishing out the food and know the actual serving size instead. Bleary-eyed, you grab a bowl and a box of cereal. You start pouring the cereal into the bowl. And you keep pouring. And pouring. By the time you stop, you have anywhere from 1 1/2 to 2 cups of cereal — almost double or triple a typical serving size. You can’t just throw cereal into a bowl and call it a serving. Stop doing that. A typical serving size of cereal is 1/2 cup to 3/4 cup, depending on the cereal. Before pouring, read the label to get the serving size, pull out a measuring cup and serve yourself a proper portion. You grab a plate and a spaghetti scoop. You overload the scoop with spaghetti. After dumping the initial scoop onto the plate, you repeat this a few times until it “looks” right. You’re looking at 300 to 400 calories — and you haven’t even added the sauce yet. Or cheese, if you’re so inclined. A serving size of pasta is actually 1/2 cup of cooked pasta, giving you around 100 calories. Before putting spaghetti — or any kind of pasta — onto your plate, grab a measuring cup and measure out a serving or two of pasta. On a related note: A serving of rice is 1/2 cup of cooked rice; not as much as you can put on a big serving spoon. Ice cream scoop in hand, you grab a bowl and start scooping from the container to bowl. Or worse yet, you skip the middle man and eat directly out of the ice cream container. A typical serving size of ice cream is 1/3 cup to 1/2 cup. If you’re going to indulge in ice cream, read the label for the exact serving size and get out that measuring cup again. Better yet, eat it out of the measuring cup and save yourself any extra cleaning up. Open bag. Insert hand. Grab fistful of chips. Pull out hand. Munch, munch, munch. Repeat until you realize the bag is empty. A serving size of chips is around 1oz — which can be anywhere from 12 to 28 chips, depending on the chips. Read the label, count out your serving size into a small bowl — and then put the rest of the bag away. I repeat, put the rest of the bag away. Do I really need to write this out? How about a visual aid? A glass of wine is typically around 3.5 to 4 ounces. Thumbing your nose at all the squirrels in the world, you grab a huge handful of almonds or walnuts and start nibbling away. Contrary to popular belief, a typical serving size of nuts is not how much you can hold in your hands. It’s 1/3 of a cup. Nuts are high in calories, so you can cut a lot of calories by eating a proper serving size. You can give the leftovers to the squirrels! Studies show that people tend to underestimate how many calories they’re eating. One of the reasons for this is because they think they’re eating a serving when they’re actually eating two, three or more servings. 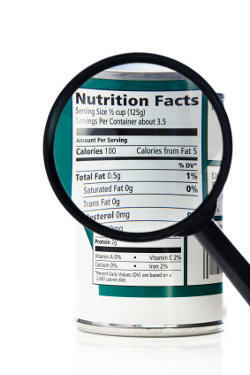 If you want to lose weight, pay attention to serving sizes, read labels and don’t be shy about using measuring cups. Measuring cups should be your new best friend. This doesn’t mean you’ll spend eternity measuring every morsel of food you eat. 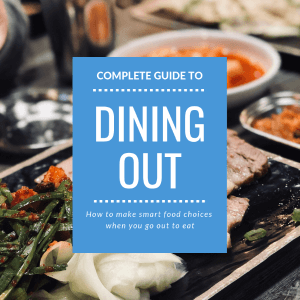 But by becoming aware of how much you eat — especially by measuring out your servings until you have a good feel for serving sizes — you’ll cut extra calories out of your diet and drop those unwanted pounds.